The Android platform is the always king in quality games, every year developers create quality games for it. The big names in gaming world are already present on this giant list. If you played its console titles then you will feel casual gaming like children toys, but in the recent years Samsung Galaxy S series smartphones minimized the distance between playstation gaming and mobile gaming. The big Galaxy Note 8 & newly launched Samsung Galaxy S9 & Galaxy S9+ are new monster phones in high end category. All these launched 3 months ago although popularity of Galaxy S8 is not going down. It is the perfect smartphone to use in daily life. Now after the launch of Galaxy S9 duo the price has decreased for this last year model. Now there are few big names who lands on Android gaming with their big titles, so you can enjoy your favorite titles on mobile devices, such as top 7 High quality games which available on Galaxy S8 and S8+, read that list below. Go to the Play Store and download these top 7 high graphics games for Galaxy S8 and S8+ smartphones. All the games are rich in content, gameplay, graphics, background score & special effects. Playing these games on Galaxy S8 Will be the extra joyful moments for every gamers. Check it out these top 7 high graphics games for Samsung Galaxy S8 & S8+ devices. I highly recommend you to play this one on your Galaxy S8 or bigger model. The Walking Dead title is made by Telltale developers. I personally played this one on my Galaxy device and believe me it is the one of the most popular console quality game on Android. The Walking Dead is award winning title. The graphics and visual effects are perfect and gameplay is the best than any other mobiles. Story lines in the game would never disappoint you, characters and story is well created. It is zombie type genre so there is full of armors and weapons in it. There are five chapters of this title which you can download one after another. First part is now free in Play Store and other chapters are for each $4.99 and you can pay it from inside gaming. It is another console title available in the Play Store. The main thing about Bastion is that in it every characters and all environment and village are made by hands by great artists. Isn’t it cool? They made characters in a mind blowing way and we just love it. Game starting with one boy called Bastion who battle against enemies to rescue his beloved and villagers. Gameplay and storyline is suit to character and music sound is perfect for situation. Hand-made characters are well designed by artists and graphics and visual effects are well created. It supports on both Galaxy S8 and giant Galaxy S8+ so you can enjoy it on both of them. It is available for $4.99 in Store. This title is from famous Star Wars games saga. Recently developers launched Star Wars: Knight of the Old Republic in App Store. Play epic battle of 4,000 years before the Galactic Empire, use different kinds of weapons and power to destroy enemies, surf the planet to search enemies and kill them. The characters in the gameplay looks like playstation version. The touch control works well for this game. Characters and planets are look good and match to original one. Visual effects and gameplay also well used by developers. This one is for $10 in Google Store. Well if you have console then you must played Grand Theft Auto: Vice City title. Grand Theft Auto series is very famous on consoles, billions of peoples played this game and over million copies sold by developers. Vice City is not first title available for Android devices but this is the new and latest presentation on Google Store. If you love to play gangsters genres then you might like this one. Touch control is not perfect like console’s remote but it is good to play on S8+ than S8. This one is available in Play Store for $4.99. The Dead Space is made from EA developers exclusive for playstation, later they added it in iOS And Android. Dead Space is a horror Sci-Fi genre which famous for its gameplay and graphics of well designed planet. The planet looks very natural and must watch and your mission is to find Necromorph horde, use possible weapons to survive in dark places and from monster zombies. It is really horror genre which should scare you sometimes in gameplay. To fight against zombies you can use Plasma Saw and Core Extractor. The Dead Space is available for $6.99 in Android Store. 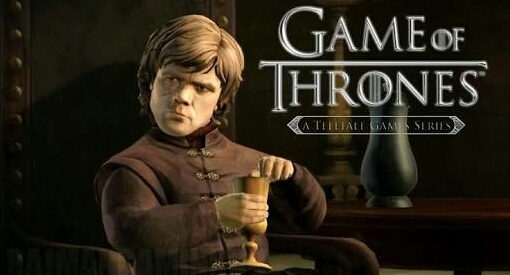 The Game of Thrones also made by TellTale developers for mobile devices. With the original launch on console devices they released it for mobile devices. If you like this series on your console or playstation then you might also like it on tiny gadgets. It is not comparable to its original title because we know the power of consoles and what they capable of, but you are going outside and missing your series then for fun you can try this. It got original storyline and gameplay. There are some changes in control and behaviors of characters due to touchscreen controls but they are not difficult to handle. You can easily manage character in the gameplay. It is also good by graphics side which is stunning sharp and good special effects. The title comes with 5 different parts like other Telltale games. First one is available in store for $4.99 and remaining you can unlock from inside gaming at the same price for each episode. The Modern Combat 5: Blackout is created by Gameloft developers. It is the fifth part in famous Modern Combat series. You can say this series is number one in mobiles. When there were lacks of playstation games then only few developers were creating good titles and in that MC series was on the top. That doesn’t mean now it is not in the top chart. Yes, it is again best in its type. In this part you can see more improved graphics and visual effects which are specially made for Android devices. Storyline and gameplay are also worth to play it and controls are also smooth to handle. It has many levels and missions to complete and you can unlock them one by one. It is online title so you need internet connection to play it. It is available for $6.99 in Store. Well these are top 7 high graphics games which available for download in Google Play Store on your Samsung Galaxy S8 and S8+ devices, just enjoy your console gaming saga on Galaxy devices and remember the past with your favorite games on mobile devices. if you like these gaming list then feel free to share it. The prices for these games are subject to change so go to Google Play Store and check the latest prices. Have any questions to ask then feel free to contact me via email or comments section below. I think the Note 8 is a great phone and one of the most powerful Android devices on the market. Completely agree with the post and thanks for sharing. Do you have a social media I can follow? billions played vice city? LOL!!!!!!!!!!!!!!!!!!!!!!!!!!! !